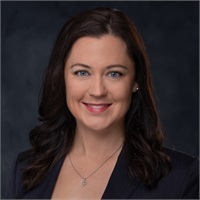 Teresa began her financial services career in 2006 after earning her Bachelor of Science degree in Finance and Business Administration from Grand Valley State University and has worked in human resources and business development. Teresa is a past participant in the Grand Rapids Area Chamber of Commerce Emerging Leaders Series. She enjoys volunteering, and has volunteered for Junior Achievement, Kids’ Food Basket, The Social Charity Club of Grand Rapids, Degage Ministries, The Renucci Hospitality House, and the Devos Children’s Hospital. Having been raised in the Upper Peninsula, she enjoys the outdoors. She ran the Boston Marathon in 2009 and hiked the Inca Trail in 2015. Currently, she resides near downtown Grand Rapids. As the Client Relations Manager, Teresa manages client scheduling, event planning, social media/marketing, and insurance.